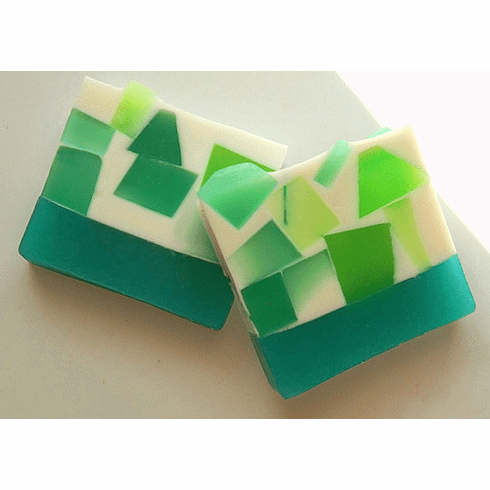 The beautiful soap really captures the crisp aroma of juniper. Lathering with this sudsy creation is great for an aromatherapy shower. Made with olive oil for a great skin-conditioning bar. Weighs approximately 5.5 ounces.